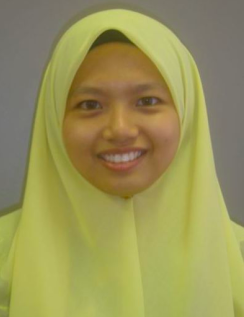 Syarifah Zyurina Nordin and Shaharuddin Salleh,”Dynamic Task Scheduling for Multiprocessor Systems” Technical Report,LT/M9/2006. Syarifah Zyurina Nordin and Lou Caccetta, “Observation on differential stopping criteria of computation time for unrelated parallel processor programming model”, Prosiding Simposium Kebangsaan Sains Matematik ke 19 (SKSM 19), pp 426 – 435, Nov 2011, Pulau Pinang. Syarifah Zyurina Nordin and Lou Caccetta, “A Heuristic to Minimize Makespan in Dynamic Task Scheduling Multiprocessor”, 5th Asian Mathematical Conference (AMC 2009), pp 471 – 478, 22 – 26 June 2009, Kuala Lumpur. Norhanim Abdul Samat, Azanizawati Ma’aram, Syarifah Zyurina Nordin and Zuraini Ali Shah, “The impact of facilities and surrounding on student choice of residential colleges”, Proc. Seminar Pengurusan Asrama Peringkat Kebangsaan, p.p 171-178,27-30 Nov 2005, Melaka.